Christian Gerhartsreiter is found guilty 28 years after newlyweds John and Linda Sohus disappeared. 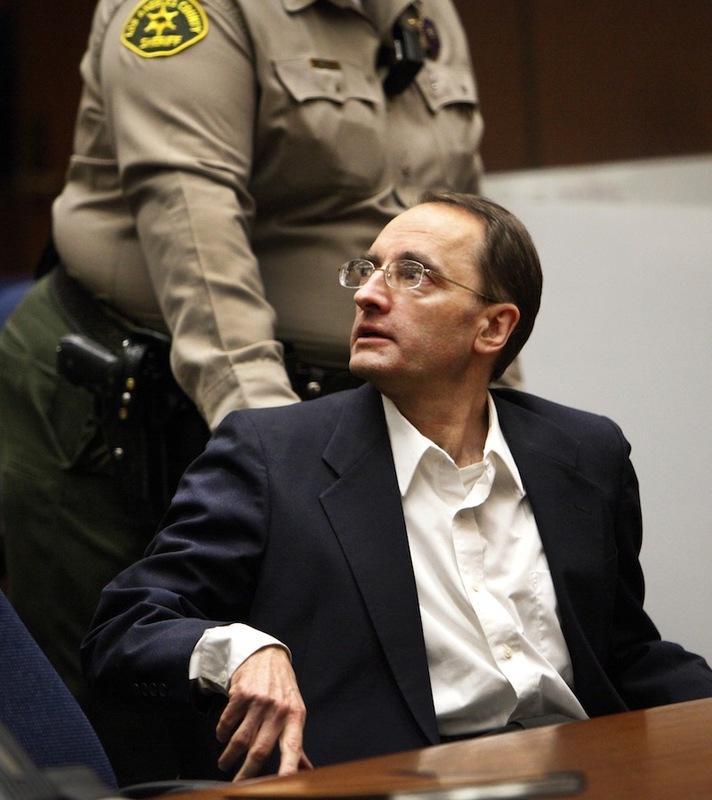 LOS ANGELES — A German immigrant who spent decades posing as an heir to the fabled Rockefeller oil fortune and using other identities was found guilty Wednesday of first-degree murder in the death of a man whose bones were found buried nearly 20 years ago at a suburban home. Christian Gerhartsreiter, 52, was convicted in the heavily circumstantial case that went to trial 28 years after the disappearance of newlyweds John and Linda Sohus. Much of the prosecution’s evidence focused on the strange behavior of the man who went by many names, including Clark Rockefeller. Balian said the passage of time always makes cold cases difficult. The jury reached the verdict after deliberating for less than six hours over two days. Before the verdict was read, Gerhartsreiter entered the courtroom smiling, and his lawyers said later he was hopeful and optimistic. He did not show any reaction when a court clerk read the decision convicting him of killing John Sohus. Ellen Sohus, the victim’s sister, said later that she was unsure if the verdict brought closure after so many years of uncertainty about the fate of her brother and his wife. Defense attorney Jeffrey Denner told jurors during his closing argument on Monday that there was reasonable doubt of his client’s guilt. After the conviction, he said Gerhartsreiter might have been his own worst enemy. Jurors said they were less interested in the defendant’s life as an impostor than they were in the evidence. Juror Salvador Ruiz, a retired truck driver, said the panel’s first two votes were split 10-2 in favor of conviction. When the panel reconvened on Wednesday, the two dissenters agreed with the majority. Ruiz said jurors discussed the fact that Linda Sohus remains missing, and he suggested that authorities should encourage Gerhartsreiter to lead them to her body. Denner and Brad Bailey, his partner on the defense team, said their client maintains he knows nothing about the woman’s disappearance. Superior Court Judge George Lomeli set sentencing for June 26. Prosecutors did not pursue the death penalty, so Gerhartsreiter could face a maximum sentence of 25 years to life in prison for the murder conviction, plus two additional years because the jury also found that he personally used a blunt object and a sharp instrument as weapons. His lawyers said he is looking forward to an appeal. Authorities said Gerhartsreiter is a German immigrant who lived another life long ago, occupying a guest cottage at the home of Sohus’ mother in San Marino, a wealthy suburb of Los Angeles. He was known then as Chris Chichester and intimated he was of royal lineage. He joined a church, befriended residents, and told some he was a film student. A friend said Linda Sohus once described the tenant in the cottage as creepy and said she and her husband never spoke to him. Residents didn’t connect Gerhartsreiter with the 1985 disappearance of the Sohus couple. He vanished soon after they did. No trace of Linda Sohus has ever been found, but the bones of John Sohus were unearthed during excavation of a swimming pool at the San Marino property in 1994. With no clues, the mystery went cold again. Across the country, a man variously known as Chris Crowe, Chip Smith and Clark Rockefeller was inventing new lives for himself. This impostor wormed his way into high society and talked his way into important jobs. He married a wealthy woman and controlled her funds, but his identity unraveled when he kidnapped their daughter during a custody dispute. His wife testified that he became increasingly paranoid when police begin inquiring about him. When he was finally unmasked, he became the subject of magazine articles, true crime books and TV movies that sought to explore his bizarre story and get to the heart of the man behind the pseudonyms. The resulting publicity led California authorities to revisit the Sohus disappearance. They realized the man in custody in Boston was not an heir to the Rockefeller fortune but was the man who had lived in San Marino decades ago. Already serving time for the kidnapping of his young daughter in a Boston custody dispute, Gerhartsreiter was close to the end of his sentence and headed for freedom when he was charged with murder. 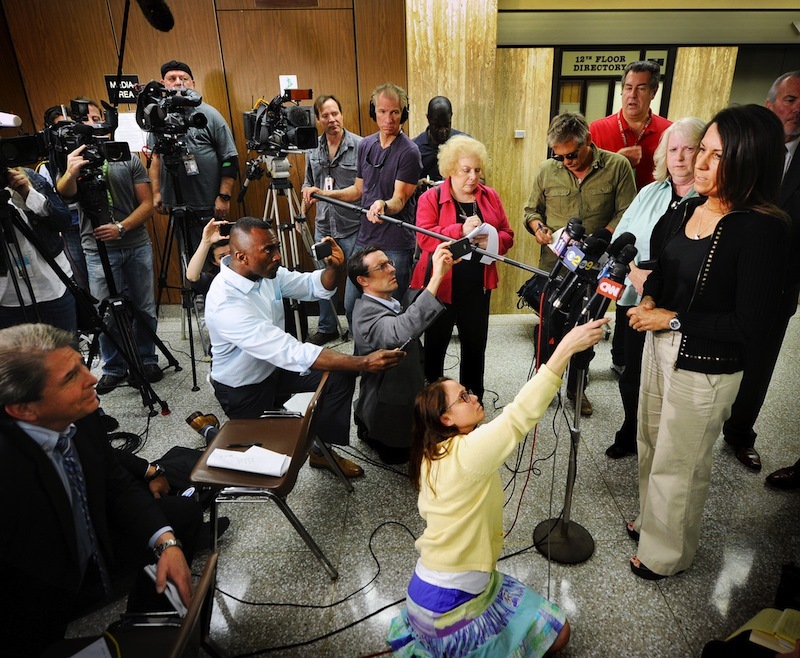 Defense attorneys suggested that Linda Sohus, not their client, killed her husband, but no evidence was provided to prove that theory. And no motive for the killing was provided by prosecutors as they made their case against Gerhartsreiter. It’s unlikely that some details will ever be explained. Gerhartsreiter chose not to testify in his own defense and much of the trial testimony came from people who only knew him long ago in San Marino as Chris Chichester, a stranger with a murky past.